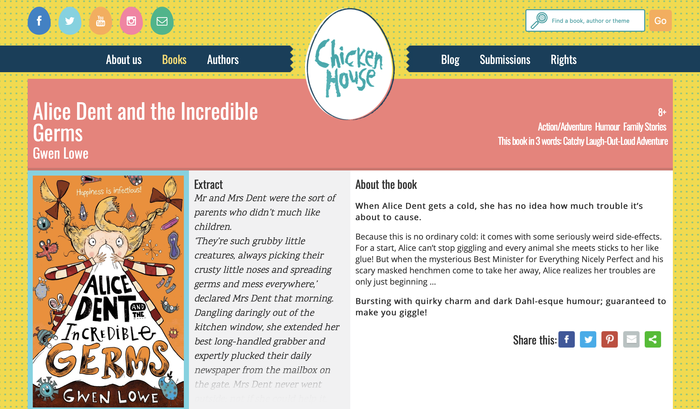 Find out more on the Chicken House website. Click below. 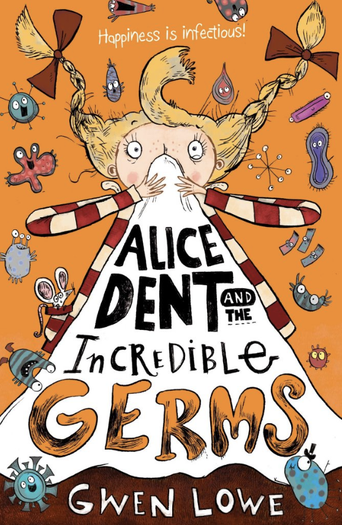 Alice Dent and the Incredible Germs is a past-faced, laugh-out-loud children’s tale created from the mold of the great Roald Dahl, by debut author Gwen Lowe. The book states that ‘happiness is infectious’ on the front cover, and I’d go one step further to say that the characters and story of the book infects the reader from start to finish with a dosage of comedy and an underlying story of selflessness. My 8 year old loves this book! It's laugh out loud funny with dreadful Dahl-esq villains, particularly the parents! Brilliant book couldn't put it down! Has hints of a Dahl type book with added Germs! !